You must make reservations at least 5 minutes in advance of the time at Sidecut Modern Steak + Bar – Four Seasons Resort. For special occasions at the restaurant, our culinary team will craft an ideal menu from our list of signature dishes, highlighting prime cuts of aged Canadian beef, fresh seafood or light fare selections. 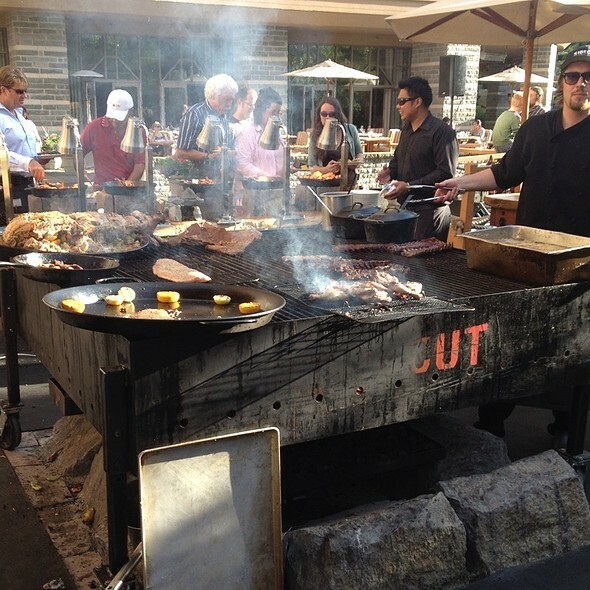 Infuse any event with the scintillating taste of Whistler’s freshest flavours and regional specialties. Sidecut offers take-out holiday menus on Canadian Thanksgiving, American Thanksgiving and Christmas. Group menus available for parties larger than 12. Named for the curvature on the side of a ski or snowboard, Sidecut Modern Steak + Bar offers a modern take on traditional mountain cuisine. 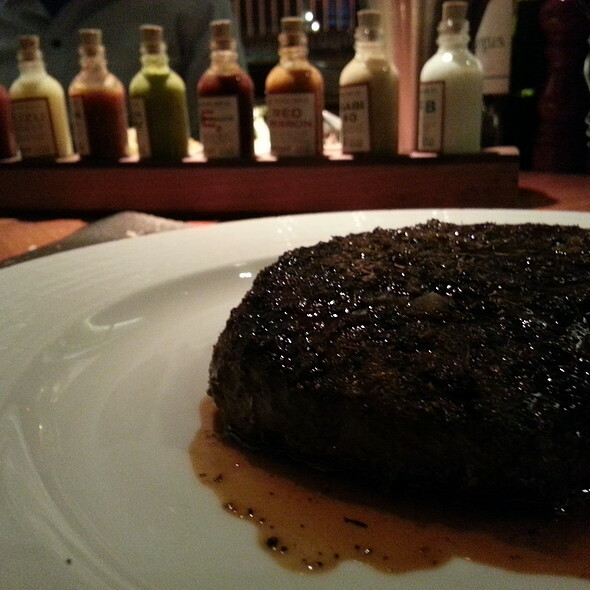 Enjoy prime-aged steakhouse cuts, cooked to perfection and inimitably paired with house-made rubs and signature sauces. Featuring a locally-sourced menu that evolves seasonally, the restaurant’s farm-to-table and Oceanwise Certification pays homage to British Columbia's diverse fare. To complement any meal, the extensive wine list features international labels as well as an exclusive selection of B.C. 's premier vintages. Sidecut Bar - Savour creative cocktails, classic drinks and world-class wines from an extensive wine list, featuring more than 200 bottles and an eclectic selection of 30 wines by the glass. Sip international varietals and several boutique British Columbia wines, if you’re in the mood for local flavours. Great staff, great food, nice atmosphere. Dining room is a little dark, but stylish and everything we ordered was awesome. The chocolate cake was one of the best I've ever had. Excellent food and service. Our server made a fantastic wine recommendation. One of the best steaks I've ever had. Unfortunately the evening was spoiled by a family with small children that would randomly scream, cry and even loudly sing an entire song. The parents were too busy with their phones to be bothered with parenting. This restaurant needs to manage details on all levels. We booked specifically for a couple of interesting items on their posted menu on OpenTable only to find they weren’t offered on the menu in the restaurant. It almost felt like a Bait and Switch. We were also sat at a back table in an empty restaurant on a tippy table. When asked to be reseated, we were placed at another tippy table near the window. Ever try cutting a steak on a tippy table? This should never be an issue at a steak house. 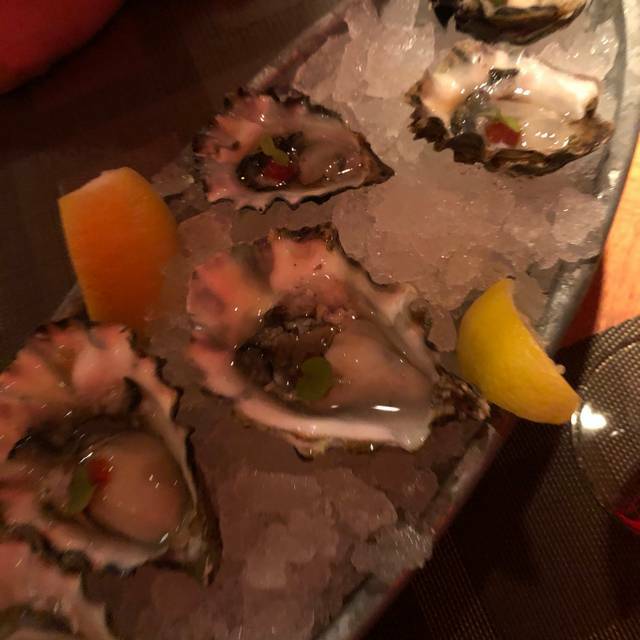 For a restaurant in a Four Seasons Hotel, we found this all to be inexcusable and decided to leave as we believed it to be indicative of what was to come. Unfortunately, we didn’t get to try the food, the items which we came for in the first place or otherwise. The manager was apologetic, professional and polite and offered to make things right somehow as we were getting our coat check but we had already committed to another reservation at that point. We hope that management would refocus their attention to the details of their operation rather than trying to save disappointed customers, particularly in such an upscale restaurant with upscale prices. We don’t intend this to discourage anyone from visiting this restaurant as it could become one of the best in Whistler with a little effort. The food was amazing. I ordered the Beet Wellington and it was delicious. My husband ordered the NY Strip and it was cooked to perfection. Our server was attentive but personable. We would definitely come back to this place. The steaks came up way short especially given the prices. Limited wine list. As regulars at Sidecut we love the service, and the food is outstanding. Their equipment and technique means you get a perfectly cooked steak every time. Sides and desserts are creative and tasty. Highly recommend- one of the best restaurants in Whistler and one of the best steakhouses period. Went to Sidecut for our anniversary dinner. 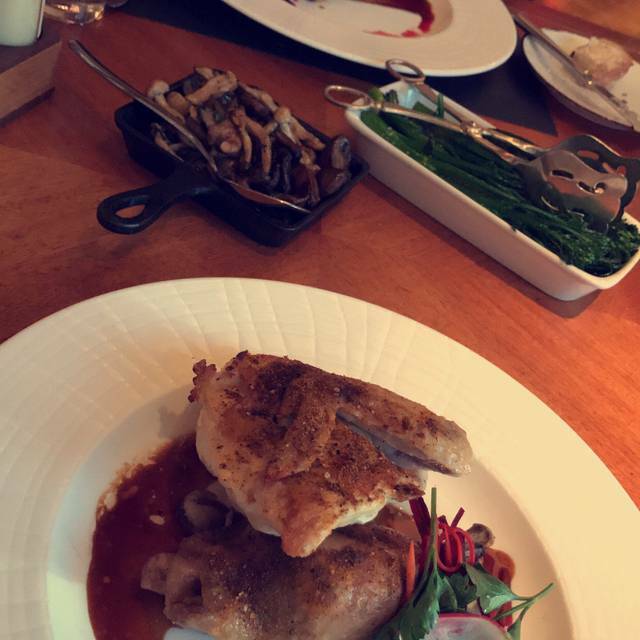 Really enjoyed the meal, everything was really good. Thought the wine list was lacking options that were good and on the cheaper side. The food was outstanding! We had steak and 2 sides. The steaks were cooked to perfection and the sides were delish! Our server, Craig, is the best ever! We remembered him from our dinner there last February! We will definitely go back the next time we are in Whistler, and highly recommend this restaurant, especially if you appreciate a FANTASTIC steak! Steak that melts in your mouth! My husband and I thoroughly enjoyed our meal at Sidecut. Let's first focus on the food! The appetizers were very very good, but the main meal was outstanding! I had the beef tenderloin (filet mignon) that just melted in my mouth. My husband had the ribeye with a pepper rub and blue cheese topping which he loved as well. The sides were also amazing! We had the mushrooms cooked in sherry, broccolini, and garlic mashed potatoes. All delicious! Now let's talk about the service. It was outstanding! Our server, Lison, was attentive, friendly and helpful. As matter of fact all the employees were friendly, courteous, and attentive. When our server, Lison, was busy with a customer, another server popped over to help us with our questions before we ordered. Lison, also, provided a great recommendation for wine. All in all a great meal out in Whistler! Craig our server was great! Drinks were outstanding as was my steak and ala carte items. Dessert was less than desirable....but would definitely come back again! Colleen our waitress and all the Sidecut staff from hostesses, executive managers, chefs and pastry chef alike are over and beyond oozing with kindness and wonderful service. You must taste the delicacies they serve yourself - simply fantastic!!!!!!!! I don’t write a lot of reviews, so take this for what it’s worth, but SIDECUT was a disappointment. After checking in with our reservation they sat us at the closest table to the bar area, which was very loud so it mostly felt like we were doing “happy hour” for the first half of dinner. It took 15 minutes to have our waiter show up after two other wait staff stopped by to get us water and welcome us. The food was overall fairly good, but the NY strip was fairly fatty and a thin cut, so not great by my standards. My kudos go to the bar staff, they make great cocktails and were very helpful to provide some matches as we left the restaurant so I could enjoy a cigar on the walk home. Overall I would give a higher recommendation to Hy’s or the Grill Room as better steakhouses in Whistler. So granted, it was Valentine’s Day, so it all might be better on a non-holiday... great food but very pricey for the ambience and being rushed through dinner. We asked for a quieter table, farther from the bar, but were told people had requested those already. We took that to mean they were guests at the hotel (we were not). So—request a window seat if you can! It will be quieter and much more romantic. Outstanding service, server extraordinary and food par excellence! Stellar service, perfect ambiance, impressive wine list, valet is free of charge when you dine and the food is delectable. A definite repeat! Great place for steaks in Whistler. We had a great dinner at Sidecut. Loved "The Brick", grilled to perfection. Very good attentive service. Nice ambiance, everything very smooth and sophisticated. Sidecut restaurant is wonderful as well the location. Quality of food ingredients is top notch. Started the meal with oysters, followed by seared foie gras, then a 20 ounces of Nebraska bone-in striploin with a king crab leg to finish with a cheese plate, just fabulous taste, probably one of the top 10 restaurants in BC. Service is exceptional, my waitress was extremely attentive and gave me comments on where the ingredients were sourced as it came and advised me to have Sidecut series wine from Lillooet to pair with my main course, the wine was exceptional as well for a BC made wine. Nothing to complaint about. While quality is very high, the ambience is very cosy and the place is not pretentious which added a lot of value to my experience as it made me feel very relaxed and comfortable. I will and already have told my friends about my extremely positive experience. I will visit again. The food and service were great. Best steak in Whistler. The room needs to be updated. Too close to the noisie bar. Amazing dinner, outstanding service. Our favorite! We had the same server from our visit the prior year and she remembered us and our kids! We loved everything about our dinner at SideCut! Steak was tasty, well seasoned, perfectly cooked. The restaurant was busy with large groups, couples, and families but we didn't have to wait too long for the food to arrive. As usual, the best steak in Whistler. As usual, the experience spoiled by an over- the- top- too- 'fluffy' server called Lison. Sorry, and no offence but ordinary people want to be treated ordinarily and not superfluously. I may look like Prince Harry will in 20 years time but I don't want to be treated like him - and I don't think he'll want to be served by Lison if He, Meghan and the family come to Sidecut either. No customer of Sidecut wants to be called 'Mush', 'Mate' or 'Squire' but I proffered my name to Lison and she never used it once - I really wish she could have!!! Maybe it's company policy but .................... please chill out and enable your customers to do so also!!!!!!!!!!!!!! We have been travelling to Whistler for many years and thoroughly enjoy the culinary excellence throughout the township. Our Sidecut experience was most enjoyable by every measure. We’ll be back! Mussels are a win and the add on scallops with the 20oz bone in New York!! Our server Lison was great. Will be back again! Delicious food, excellent service. The chocolate souffle was what dreams are made of. Food was outstanding. Waitress was more then accommodating with my food sensitivity. Sidecut is a surf and turf dining experience not to be missed. The service was top notch from start to finish, glasses were never empty for more than two minutes. The waitstaff were attentive and hospitable, Bob in particular offered great suggestions on dishes and wines. It took date night dining to a whole new level, and my significant other and I spent the entire next day both raving about the experience and being disappointed by any other food. If you feel like splashing out in Whistler, you must try Sidecut. Great place! It was our 2nd wedding anniversary dinner and it was all flawless. Amazing food and very professional and friendly staff. Looking forward to return to this place.